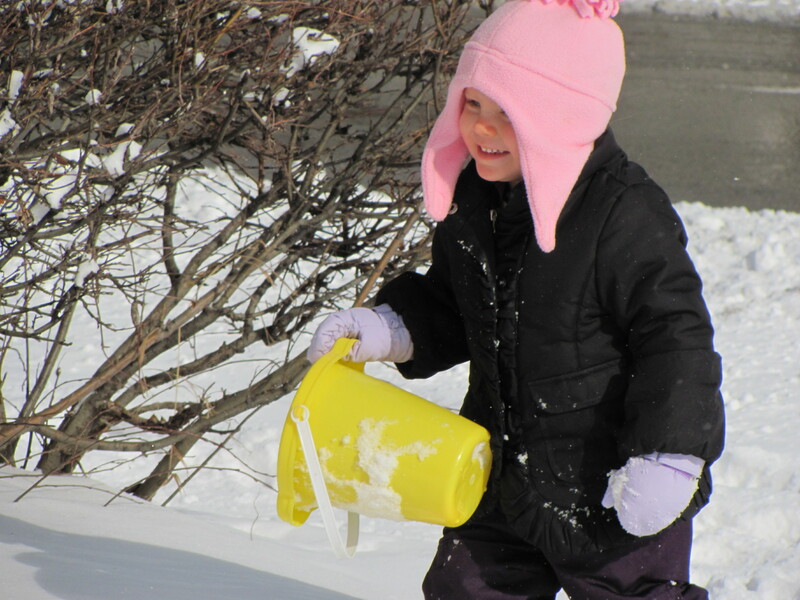 That is what Ava said when we told her we were going to go outside and play in the snow on Wednesday morning. Totally worth venturing out into the aftermath of the blizzard here in Chicago. Our parking lot was covered in drifts so it was the perfect spot for some snow play without having to dig out the car. We may only have lasted about 15 minutes in the cold, but seeing her have so much fun [as she kept telling us every few seconds] was pretty priceless.